Even the highest quality DC power system needs to be properly maintained. 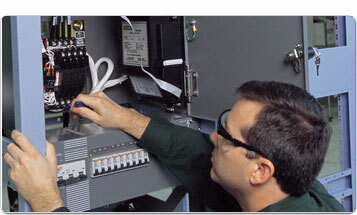 Eaton provides factory trained and authorized service for your DC power system. Whether you choose individual services or decide to take advantage of the Eaton DC ProActive Service Plan, let us begin caring for your DC power system from the moment it begins supporting your mission-critical applications. Eaton provides factory-trained and authorized service technicians, caring for your DC power system from the moment it begins supporting your mission-critical applications.